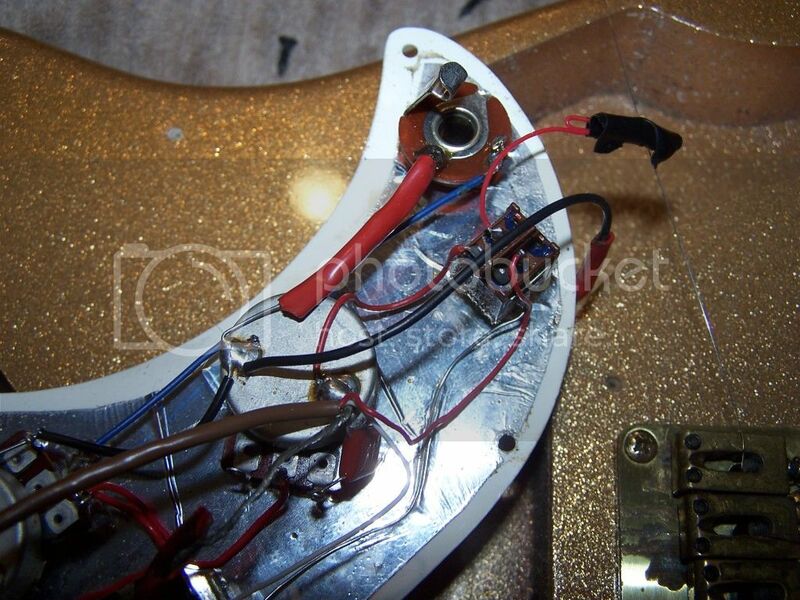 As you can see the coil tap is not hooked up to Bill Laurence PU. Of 4 leads from BL pu, only black lead is splice into wire on pu selector switch, shield is tied to existing MMK45 , white and red leads not hooked up. BL pu wiring is the grey wire coating. Brown wire coating is the MMK45 with 3 leads all hooked up. 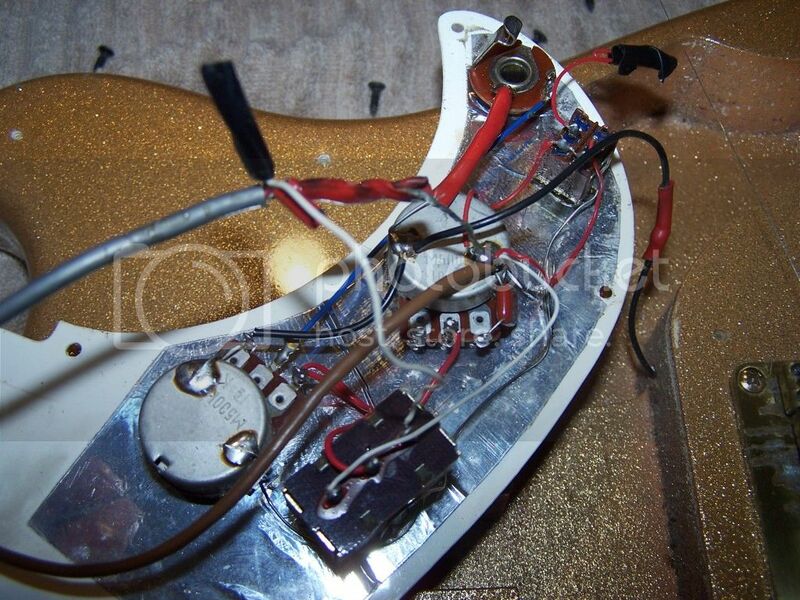 Red to coil tap switch, white to pu selector switch and shield to tone pot (and BL shielding). You'll have to read between the lines as the diagram uses a push/pull, and it assumes you know the wire color on your pickup. I'm assuming the two coils have been combined on your Bill Lawrence, which is why there is only two leads. This is not uncommon. On Gibson pickups installed into a guitar, there is almost always only two leads, but if you buy a Gibson pickup, all four leads are usually there for installation. Man, I love the finish on that X135 of yours, sweet!! Tell us what was connected to these pickups you got from Ice, and if you need any more help to get it back to stock, Mike. There was nothing connected to the 2 MMK45 pick ups. 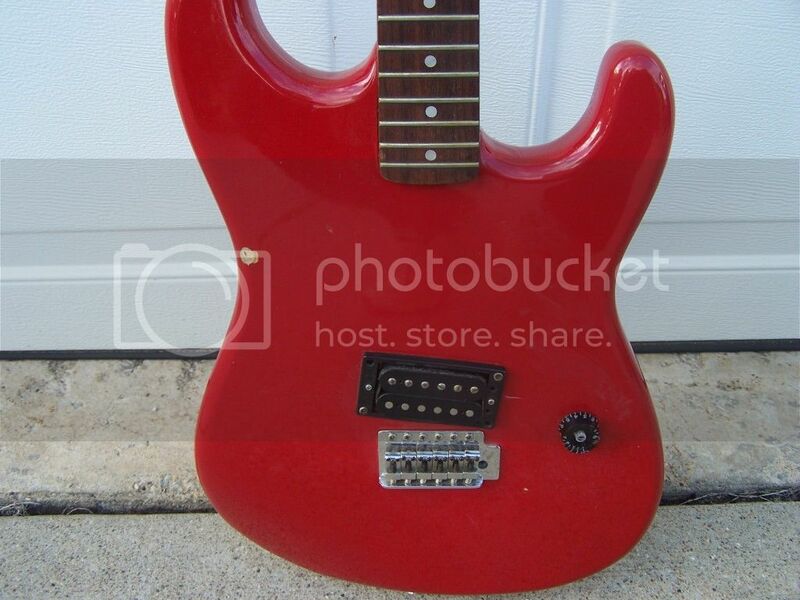 There was an unknown manufacture strat type body with a single HB and 1 volume knob. It is most likely chineese or korean in origin. I need to pick up an input jack for this one. I will post a couple of pics later. it's like a carnival ride! Thanks Mick and Thanks Mike. We have the best forum members! 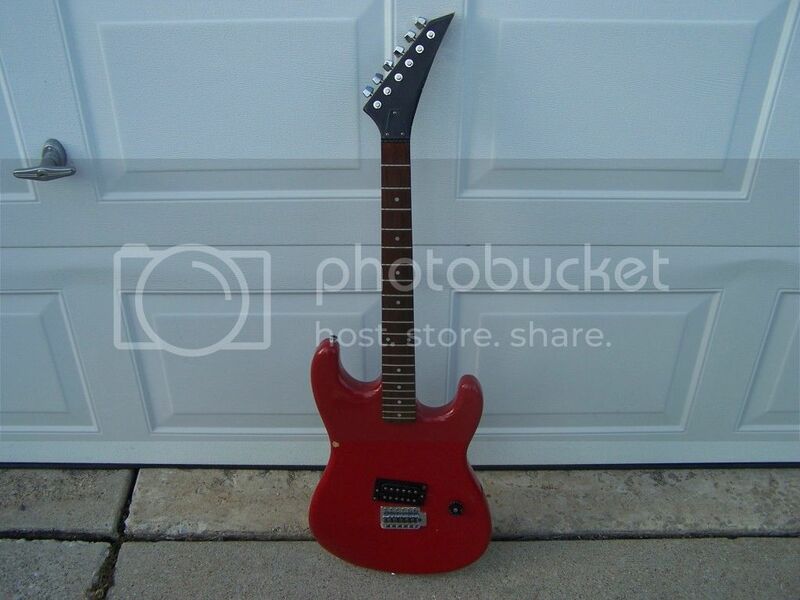 Mike: Here are pics of the Electra fest prize guitar. If anyone has a guess as to manufacturer, country of origin please chime in. I will also need a diagram for a 1 HB 1 volume set up to know where to wire in the input jack. 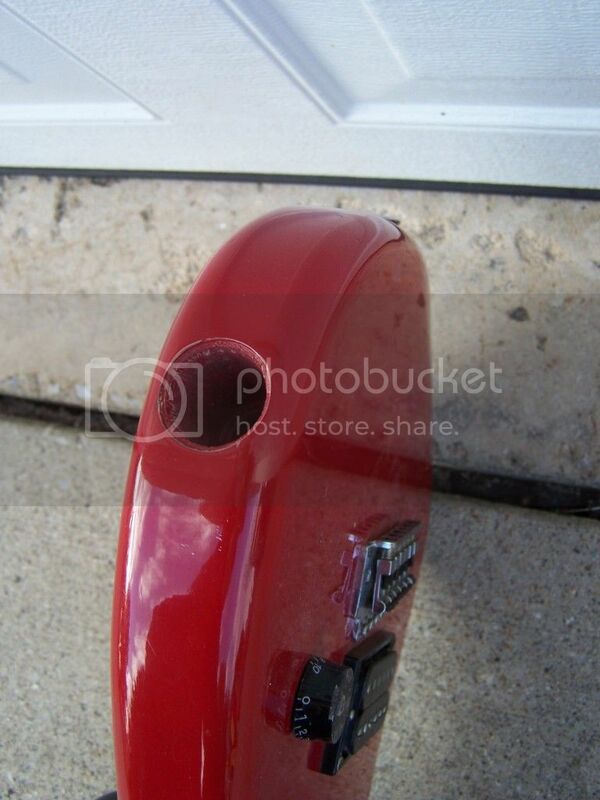 I am also looking for a good replacement part input jack that would work with this one (i can give measurements if needed). 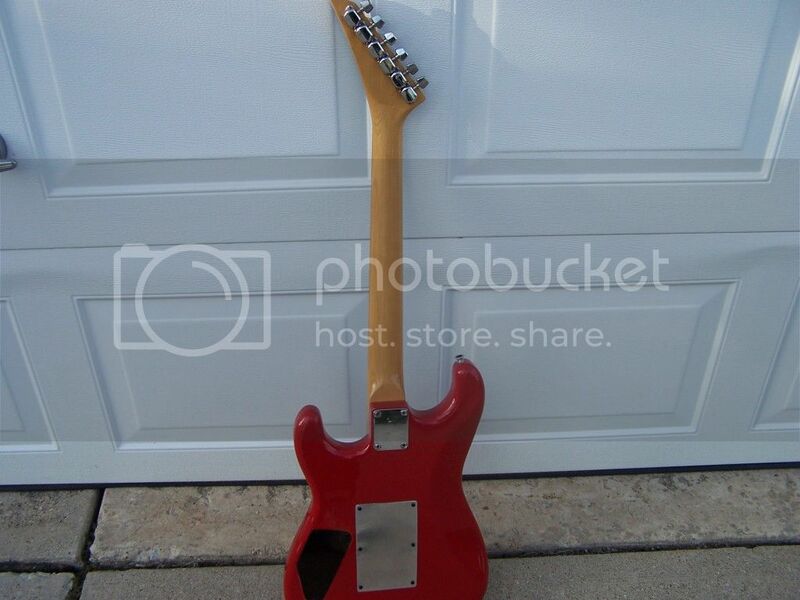 It looks like some kind of Charvel/Kramer knock off, not sure what country of origin. Those tuners look exactly like the ones on my 70's Electra 'goofy' logo strat and my Vantage 12 string dreadnaught, I don't know if they're original to that pointy neck, you tell us. 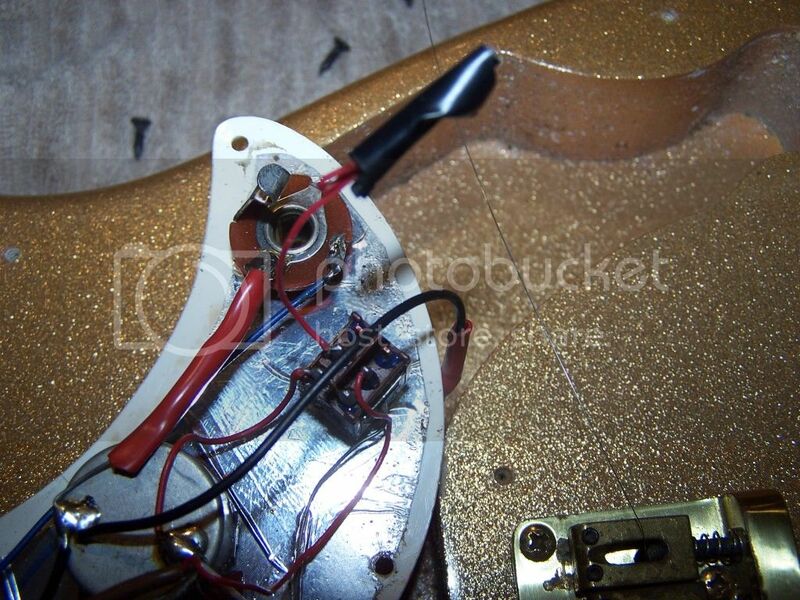 On a single vol setup, just run the center lug of the pot to the output tip. That guitarelectronics.com site has just about every imaginable combination diagram you can think of. The labeling is confusing with the south/north start/finish stuff, but they've done all the work of drawing them out for tinkerers out there. 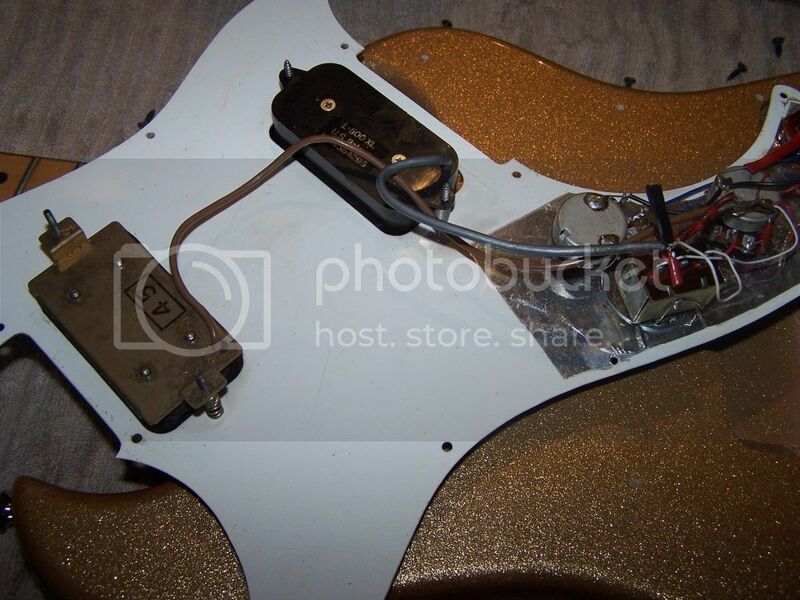 I don't see any screw holes for the output jack plate, so I'm wondering if it had a Telecaster 'Bell' type jack plate on there? So Ice sent that along in addition to the pickups? Very cool! Enjoy, Mike. The hole is mostly circular at the edge it measures 27-27.5 mm and then just inside there is a quick narrowing to 25 mm like it may have had a recessed bezel. Depth of the hole is about 48.5 mm deep. 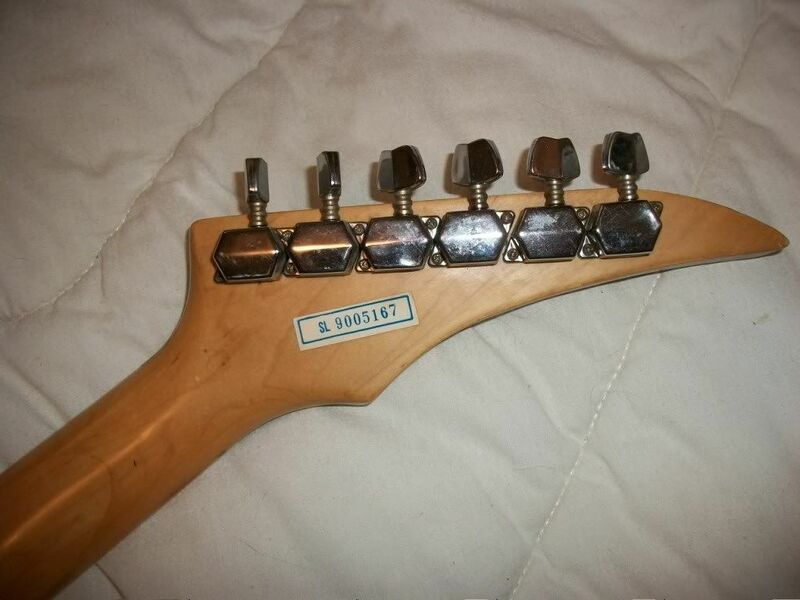 Headstock and tuners are very simular to the Series 10 guitars I have. 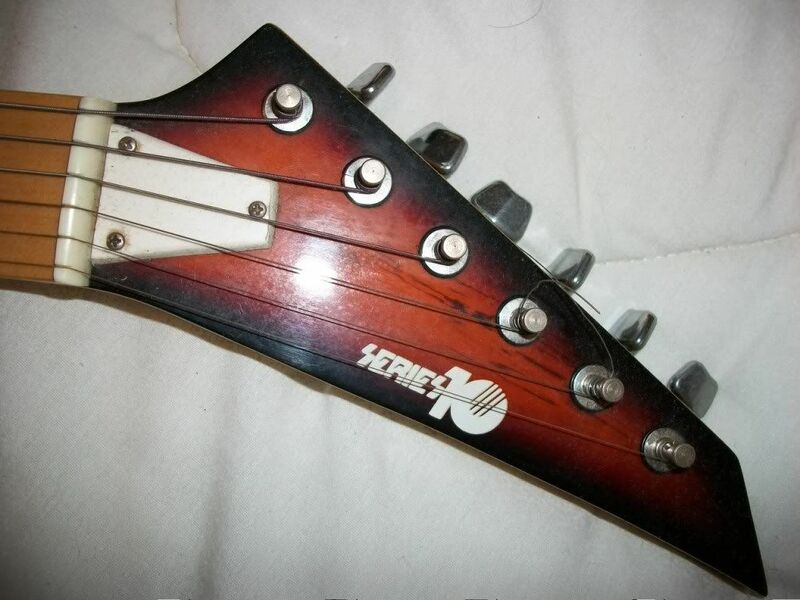 Also simular to one of my Korean Westone headstocks but still no exact match. 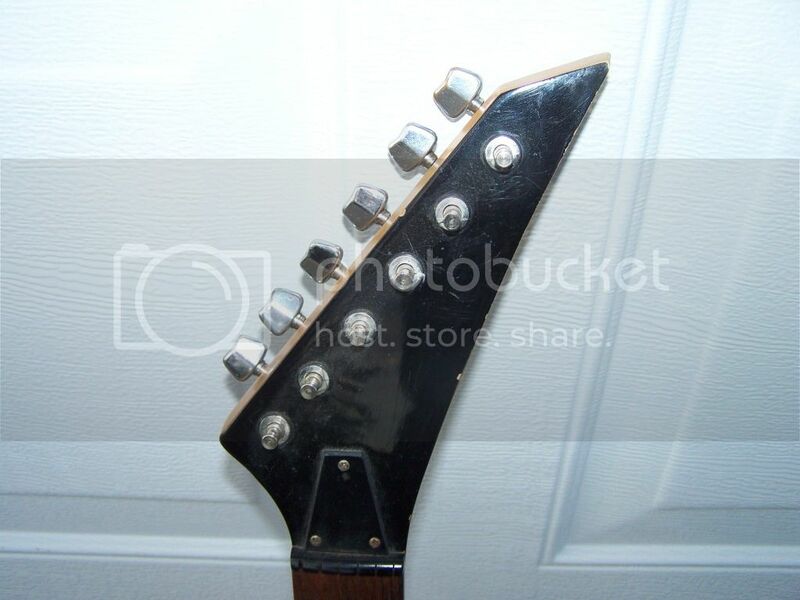 Truss rod cover sure looks similar.